We are an experienced team of NYS Licensed Certified Dietitian-Nutritionists. We are all Registered Dietitians with Masters Degrees in Nutrition. All of us have many years of experience with all aspects of nutrition counseling. All of us have completed hospital-based internships. We All Share Nutrition As Our Passion! 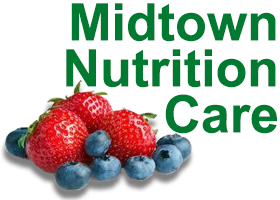 At Midtown Nutrition Care, all of our nutritionists really enjoy helping people improve their health and well-being through food and nutrition. We always personalize our nutrition counseling by working with you one-on-one. We work with you to modify your diet by taking into account your personal food preferences and to address your specific needs. We treat each person as an individual and believe that individualization is important to your success.